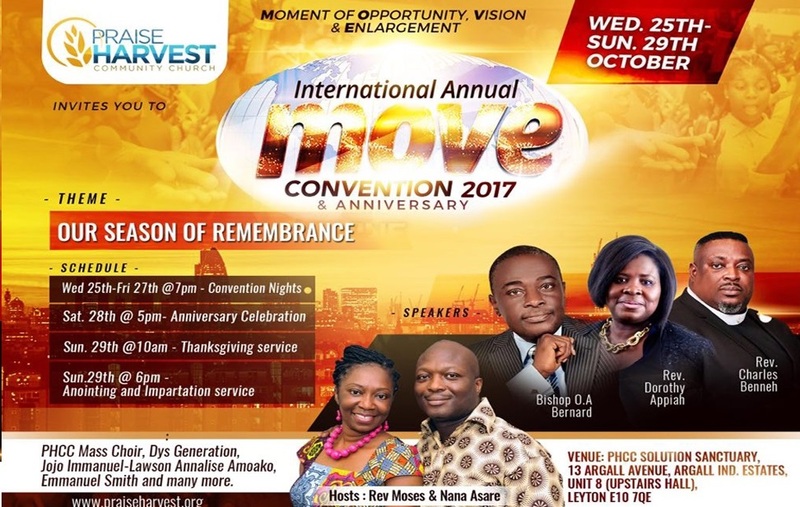 MOVE convention is the annual convention of Praise Harvest Community Church. It is a time where all branches come together as members of the Body of Christ, under the vision of Praise Harvest International to pray and enrich ourselves to new heights in our christian faith in line with our mission of spreading the Word to the world. Let us know by registering or emailing us about your travel as soon as you secure your visa so we plan for you. New and old faces, exciting praise and worship, awsome Word from men of God and more. Email us about any questions you may have. We are ready to answer your queries and makes your stay enjoyable.